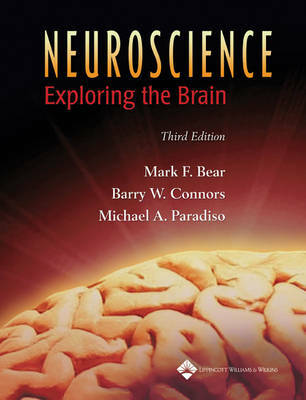 Widely praised for its student-friendly style and exceptional artwork and pedagogy, Neuroscience: Exploring the Brain is a leading undergraduate textbook on the biology of the brain and the systems that underlie behavior. This edition provides increased coverage of taste and smell, circadian rhythms, brain development, and developmental disorders and includes new information on molecular mechanisms and functional brain imaging. Path of Discovery boxes, written by leading researchers, highlight major current discoveries. In addition, readers will be able to assess their knowledge of neuroanatomy with the Illustrated Guide to Human Neuroanatomy, which includes a perforated self-testing workbook. This edition's robust ancillary package includes a bound-in student CD-ROM, an Instructor's Resource CD-ROM, a Connection Website, and LiveAdvise: Neuroscience online student tutoring.